We have a bunch of terms referring to different aspects of the Toad application internally and I thought I would share some with you because it's not that uncommon that it slips out in the Yahoo Boards when we talk about it so why not just go through them and explain them. Action Refers to any toolbar or menu item. The name action comes from the internal name from these through the plugin interface. Assembly This is actually a .Net term that refers to a loadable chunk of code (Basically a dll file if you are used to normal Windows programming). Core This refers to the part of the application that is shared between all products of the .Net Toads. Database Connection We use this term to refer to an actual connection to a database (In difference to a toad connection). DOE Document object editor. The window that is used to create or alter an object. DOV Document object viewer. The control that describes a specific object either in the RHS or the Object Details. Facility This is an abstract representation of functionality that a plugin can provide to the core to extend it's functionality. Examples of facilities are version control provider, connection providers and support for file types. LHS Left hand side of the database browser. Also refers to the entire content of the Object Explorer. Object Palette Used to be the name of the Object Explorer and some of us have a hard time learning the new name. Plugin A non core part of Toad. Plugins can extend functionality of the code by providing actions and facilities. Provider A provider is a facility that facilitates connections to databases. 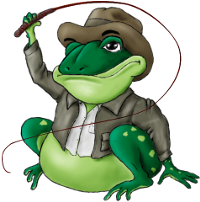 For instance the MySQL provider gives Toad the ability to connect to a MySQL database. QP5 The parser that Toad uses to parse SQL. The acronym stands for Quest Parser 5. This is a really cool piece of code that a team in Belgium is developing. It is used in several different Quest products. RHS Right hand side of the database browser. Also the document containing the details for the Object Explorer. Contains a DOV. Toad Connection We use this term to refer to the one connection that the user has made to a database. This differs from a database connection which is an actual connection to the database. One toad connection can be represented by one or more database connections. I'm going to write a separate entry all about connection and transaction handling in Toad at some point because that is complicated enough for it's own article. TDA Toad for Data Analysis, our short hand acronym to refer to this specific product. TRL Toad Resource Locator. This is the way we pass around information about database objects between different parts of the application. Basically they are a string that uniquely identifies one database object in one database.